On Saturday, August 11 the LA County Arts Commission, along with the LA County Department of Parks and Recreation, will host a poetry reading in Pasadena’s Michillinda Park. 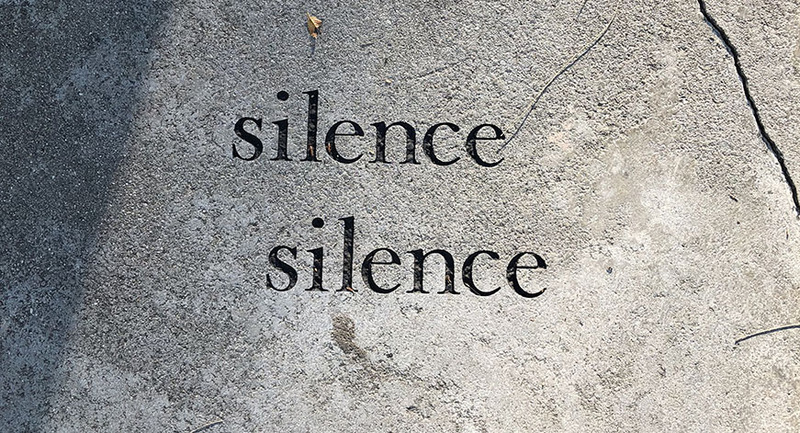 The reading is in celebration of a new a new addition to the County Collection of civic artwork, five minimalist poems by famed poet Aram Saroyan that have been etched into concrete walkways within the park. Along with Saroyan, the reading will feature the work of four other celebrated Los Angeles poets, including Holly Prado, Harry Northup, Phoebe MacAdams and Michael C. Ford. As part of the evening, each featured poet will read for ten minutes, after which the night will conclude with a reading from a participant of the Parks After Dark writing program. The reading is set to take place at 4pm on Saturday, August 11, 2018. Aram Saroyan’s Complete Minimal Poems received the William Carlos Williams Award from the Poetry Society of America. His word art was featured in the Hammer Museum’s biennial Made in LA 2016: a, the, though, only—for which he wrote the subtitle. A Letter to My Father and My Unborn Son, a journal that includes art by his wife, Gailyn Saroyan, was recently published by Rakish Light press. Holly Prado has had twelve books published and has a book-length poem forthcoming from Cahuenga Press in 2019. Her creative writing teaching career spanned fifty-one years; she taught privately as well as in the Master of Professional Writing Program at USC. Prado was the recipient of the 2016 George Drury Smith Award for Outstanding Achievement in Poetry from the Beyond Baroque Foundation. Harry E. Northup has had 11 books of poetry published, most recently East Hollywood: Memorial to Reason (Cahuenga Press). He received a BA in English, at CSUN, where he studied with Ann Stanford. Northup made his living as an actor for 34 years, acting in 37 films, including Taxi Driver and The Silence of the Lambs. Phoebe MacAdams’ sixth book of poetry, The Large Economy of the Beautiful, was published last year by Cahuenga Press. Active in the Los Angeles poetry scene since 1986, she was a founding member of the Los Angeles Poetry Festival. For 25 years, until her retirement, she was an English teacher at Roosevelt High School in East Los Angeles. The mother of two grown sons, she lives in Pasadena with her husband and former teaching partner, Ronald Ozuna. Poet and spoken-word artist Michael C. Ford has published 28 books and made numerous recordings since 1970. He was nominated for a Grammy in 1987 and a Pulitzer for his Selected Poems in 1989. In 2014, Hen House Studios recorded his "Look Each Other in the Ears" in both vinyl and CD formats with a band that included Robby Krieger and John Densmore.